Niculas Fernando died at a Tokyo immigration detention center sometime between 9:33 a.m. and 10:44 a.m. on Nov. 22, 2014, according to the coroner. But it wasn’t until shortly after 1 p.m. that day that guards realized something was badly wrong — even though Fernando had been moved to an observation cell monitored via closed-circuit television after complaining of sharp chest pain. A Reuters investigation into the circumstances surrounding Fernando’s death, including dozens of interviews with detainees, immigration officials and doctors, revealed serious deficiencies in the medical treatment and monitoring of Japan’s immigration detention centers. Guards with scant medical training make critical decisions about detainees’ health. Doctors visit some of the country’s main detention centers as infrequently as once a week. And on weekends there are no medical professionals on duty at any of the immigration detention facilities, which held more than 13,600 people in 2014. Japan’s immigration system is under increasing strain. As a torrent of refugees pours into Europe, Japan also has record numbers of people arriving in search of refuge. As of June last year, it had 10,830 asylum applications under review — small by Europe’s standards, but a new high for Japan, a nation that has long been reluctant to take in outsiders. In February, more than 40 detainees went on a hunger strike at a facility in Osaka to protest their conditions. Their main complaint: Poor medical care. Fernando, who ran a travel agency back in Sri Lanka specializing in pilgrimages, hadn’t seen his son, George, for eight months when he reached Japan. 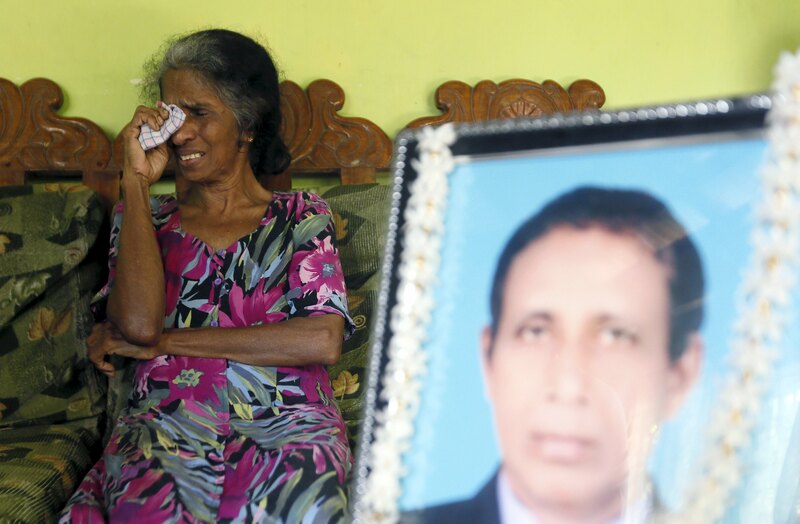 Before he left home, he visited the many churches in his coastal hometown of Chilaw and “prayed for 24 hours,” said his wife, Magret. The day before he died, Fernando called Magret from a pay phone for inmates in the detention center. “He was not ill,” she said. 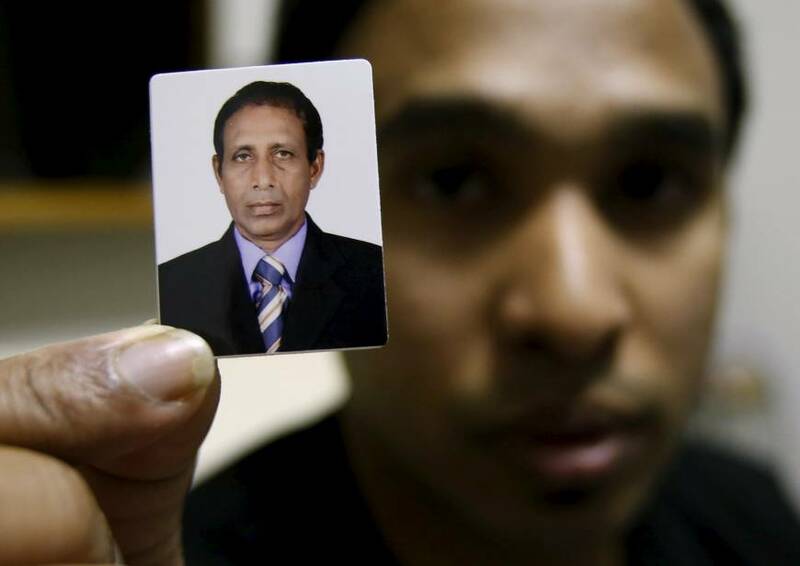 Fernando also was active in one of Sri Lanka’s main political parties, and that background may be key to understanding a surprising decision he made during his detention — to ask for asylum. But facing deportation after his arrest at Haneda, Fernando decided to seek asylum, which would have allowed him to stay in Japan while his request was processed. He was going to return home once any election-related violence had subsided, his son said. The rule change, combined with Japan’s chronic labor shortage and strict immigration policy, has spawned a system of back-door immigration, as Reuters illustrated last year in an article detailing Subaru’s heavy reliance on asylum seekers who toil in the factories that supply it with car parts. Five days after arriving, Fernando was transported from a lockup at the airport to the Tokyo Regional Immigration Bureau, a tower block overlooking the docks and a waste-incineration plant. A one-stop shop for visa renewals, asylum interviews and deportation orders, the complex also serves as a detention center for up to 800 people. Fernando’s Peruvian cell-mate called the guards and told them the Sri Lankan wanted to go to the hospital because his chest was hurting. The guards refused, saying the hospitals were closed on Saturdays, according to Burke and two other detainees who witnessed the events and asked not to be named. At least two hospitals within a few miles of the detention center are open around the clock on weekends, including Saiseikai Central Hospital, where Fernando’s body would be taken later that day. Naoaki Torisu, a senior Justice Ministry official who oversees immigration detention, declined comment on what specifically the guards told Fernando. But Fernando wasn’t taken to a hospital. At 8:16 a.m., guards moved him to an observation cell fitted with closed-circuit television for around-the-clock surveillance of detainees who are ill, unruly or have tried to harm themselves. Immediately after cell doors opened at 1 p.m. to allow detainees out for the afternoon break, the Sri Lankan who had interpreted for Fernando hurried to the observation cell. Fernando’s breakfast — the standard white bread, jam and boiled egg — lay untouched. Fernando wasn’t moving. His body was cold. Alerted by the detainees, guards rushed into the observation cell. It was 1:03 p.m. — three and a half hours since Fernando had last shown any signs of life. Detainees described scenes of pandemonium as inmates crowded the corridor leading to Fernando’s cell. Anticipating unrest, some guards laid out helmets, shields and batons. 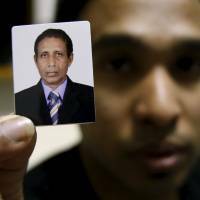 Koichi Uemura, a coroner asked by the Immigration Bureau to write an in-depth autopsy report on Fernando’s death, told Reuters he was allowed to view the video footage of the Sri Lankan in the observation cell. He said it was possible to tell from the images that Fernando was struggling and moaning before he lay down in the cell. Uemura said he was asked to compile a report after the Immigration Bureau had investigated Fernando’s death and found that “there was quite a high possibility that (the detention center) did not provide adequate medical care, and that his illness got worse because he was left unattended.” A doctor at Tokyo Medical and Dental University who performs autopsies for the police and courts, Uemura stopped short of saying Fernando’s death could have been avoided if guards had taken him to a hospital. Since 2010, the Immigration Detention Facilities Visiting Committee — the watchdog body — has repeatedly called for improvements to medical care at detention facilities. Six current and former members of the 20-person oversight body told Reuters that key recommendations have not been implemented. That same day, Fernando was cremated about 3 miles from the detention center where he died. 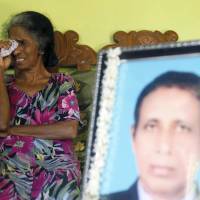 His family had hoped for a Catholic burial in Chilaw, but could not afford to fly his body home. His third son, Jude, who traveled to Japan for the funeral, is also now seeking asylum. The Justice Ministry has not made public the findings of the investigation into the case or released them to Fernando’s family. In response to a public disclosure request, Reuters received a copy of the Immigration Bureau’s report from March last year. It was heavily redacted. Under a section titled “Problems,” every line had been blacked out.